There’s no denying that cruise ships keep on getting bigger and better every year. We’ve seen cruise ships that push the boundaries of what you’d even consider including on such a vessel – cruise ships with waterslides and rock climbing walls, 3D theaters, and all kinds of other bells and whistles. While all of that is plenty fun, sometimes you want the classic cruise-going experience. 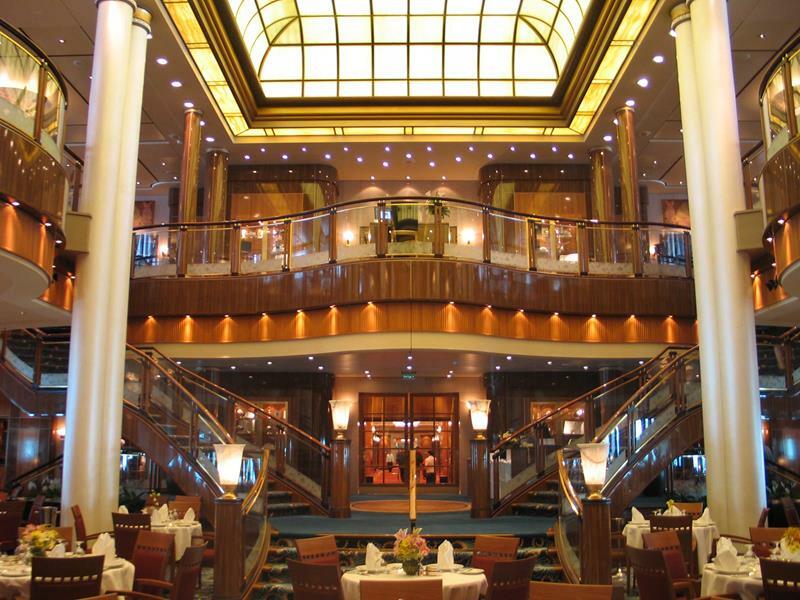 You want to feel like you’re on a luxury ocean liner around the turn of the century! If that sounds like an experience you’ve been looking for, then we want to introduce you to the Queen Mary 2. It is, of course, the sequel of sorts to the original Queen Mary, which operates as a hotel in Long Beach, California. This cruise ship, though, is still sailing the seven seas, and it recently received a massive update that’s got the old girl looking even prettier than ever before! 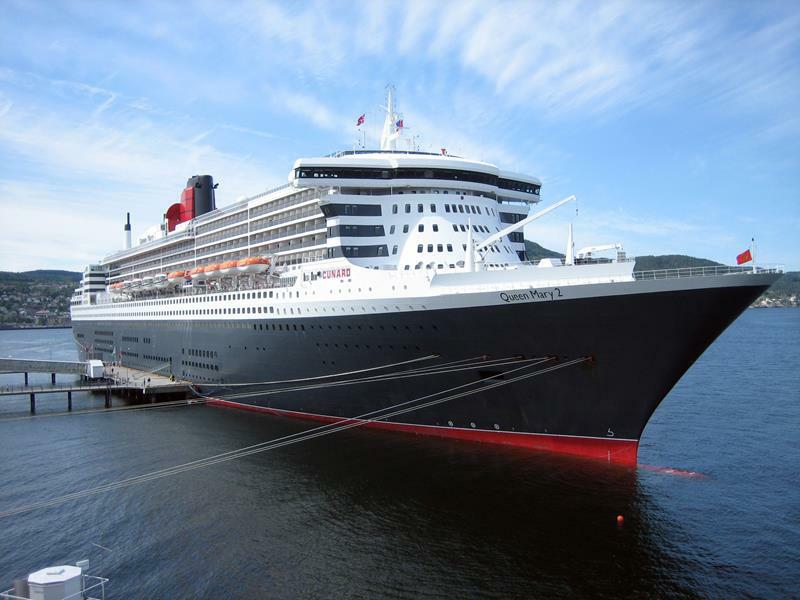 So, what makes the Queen Mary 2 so special? 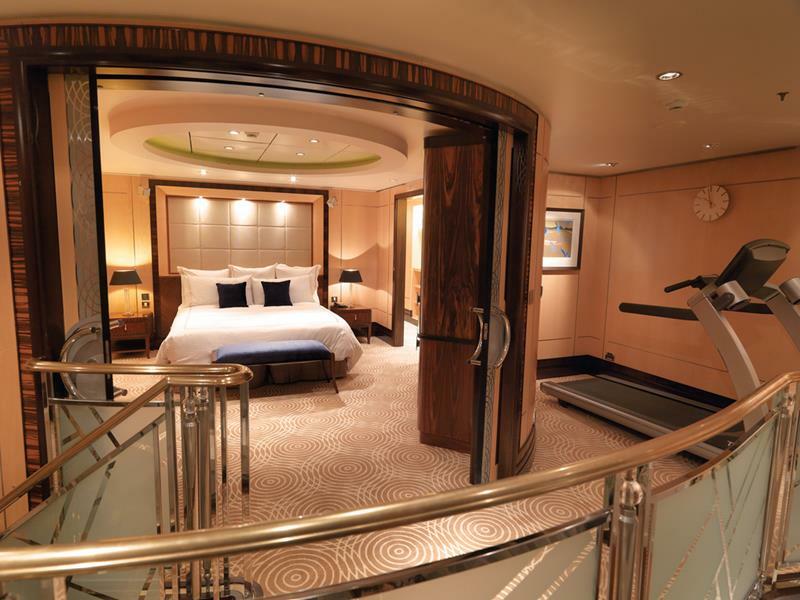 Why is this the right cruise ship for you if you’re looking for a classically luxurious experience? That’s what we’ll be exploring below. 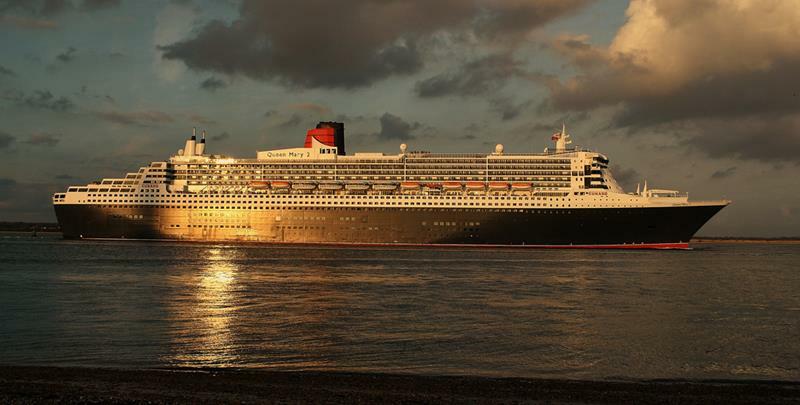 So, come take a look at these 25 stunning pictures of the Queen Mary 2! One reason that the Queen Mary 2 appeals to cruise goers is that it embodies the luxurious spirit of early 20th century ocean liners. When you’re standing in the atrium, you’ll definitely understand just how much attention to detail has been paid. 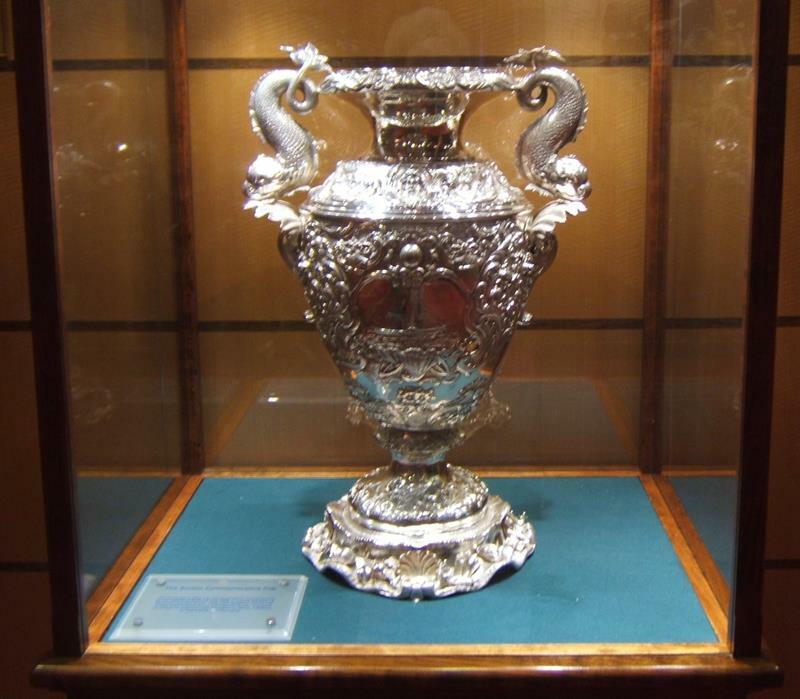 While there, be sure to check out the Boston Cup, which was awarded to Cunard lines when they began trans-Atlantic crossings in the mid 1800s. 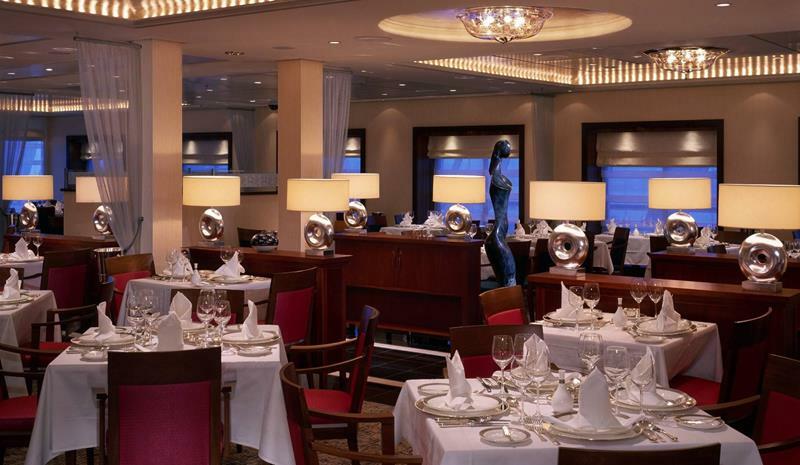 The main dining hall aboard the Queen Mary 2 is named the Britannia Restaurant, and features three luxuriously appointed floors. 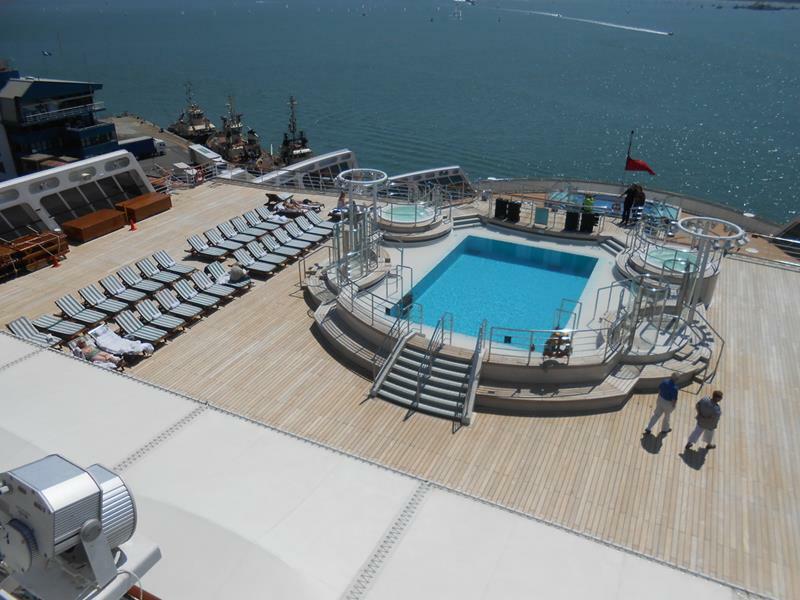 When you want to hit the main pool aboard the Queen Mary 2, you’ll head aft, which is where you’ll find the beautiful Terrace Pool. Weather doesn’t always cooperate with cruises. When this is the case, you can visit the Pavilion pool, which is in a glass-covered area. If you’re cruising with the whole family, your kids will be plenty entertained by the Minnows Pool, which is attached to a play area. 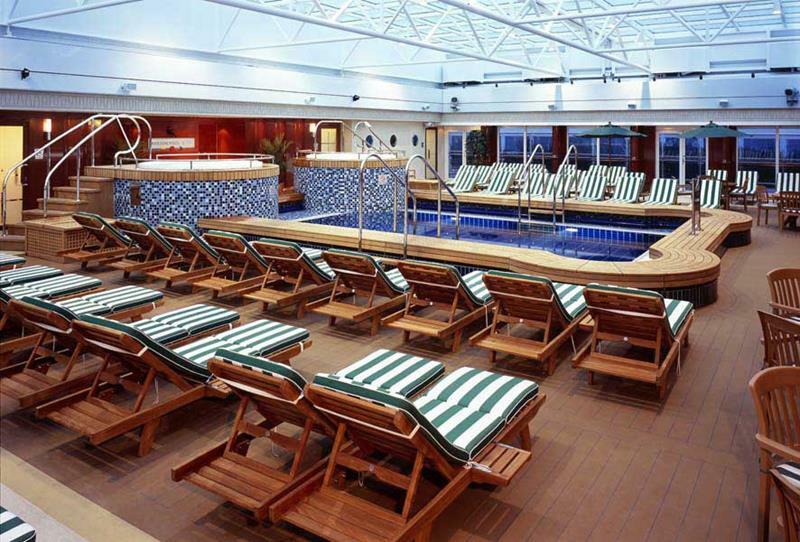 On the Queen Mary 2, you don’t need to be by the pool to catch your rays. 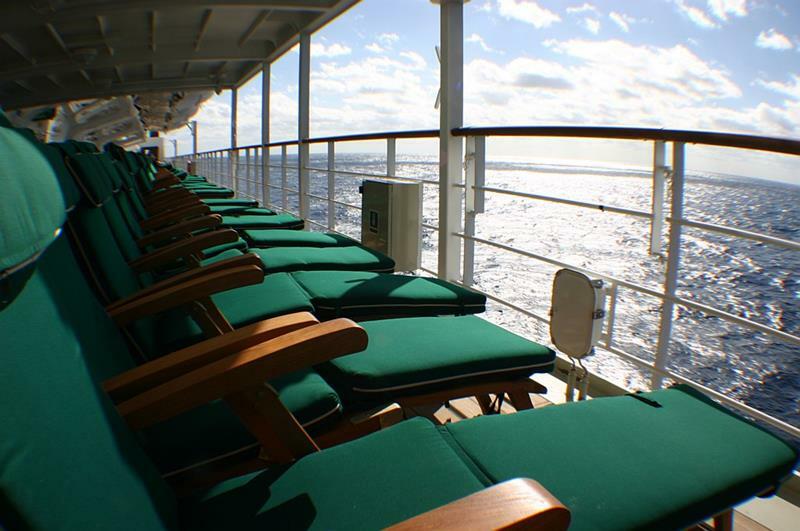 You can lounge on one of the many deck chairs along the ship’s promenade. If you’ve got the kids covered, then you’ve got the chance to get away. 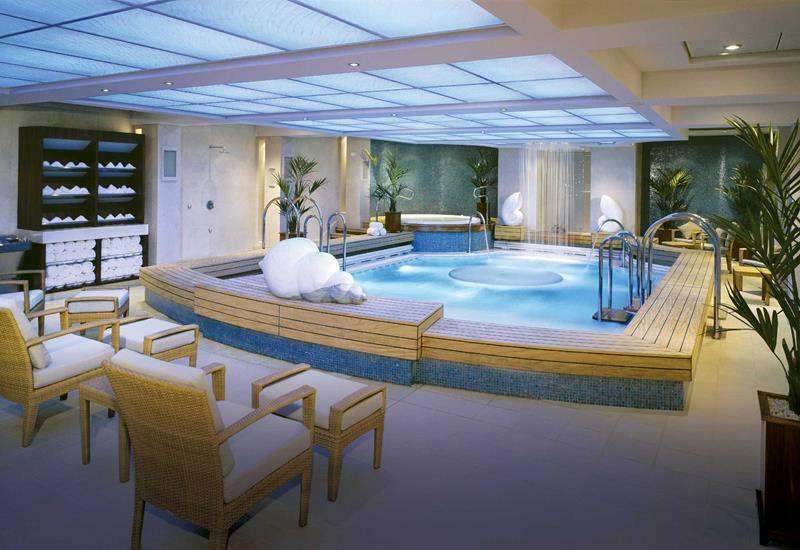 Why not get pampered at the amazing Canyon Ranch spa? 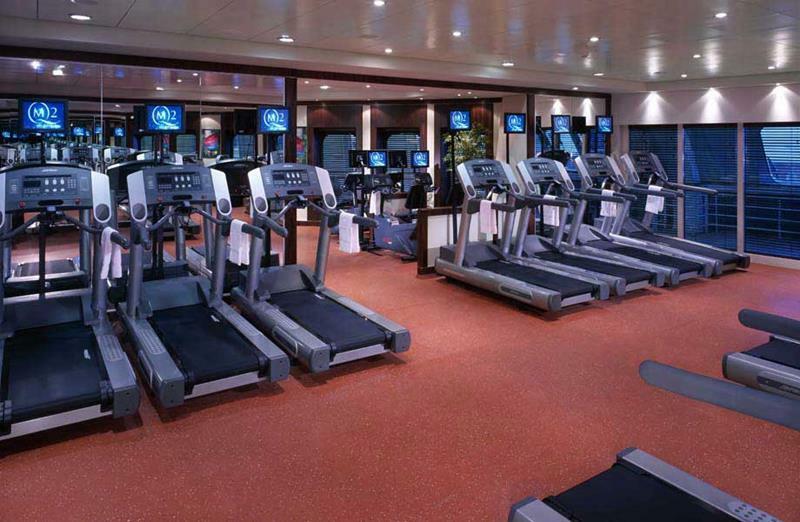 For those who are the active sort, you’ll be able to keep up with your gym regimen in the ship’s fitness center. 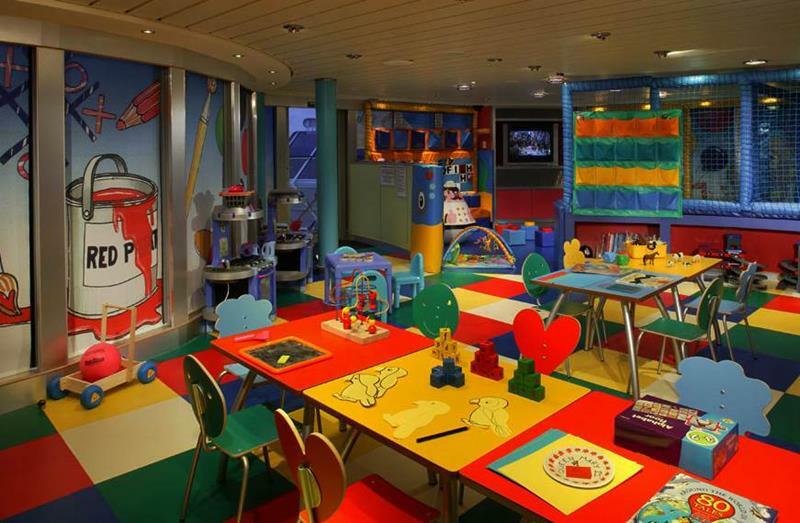 Additionally, you’ll find plenty of places for sport up on deck. There are basketball courts and tennis courts! 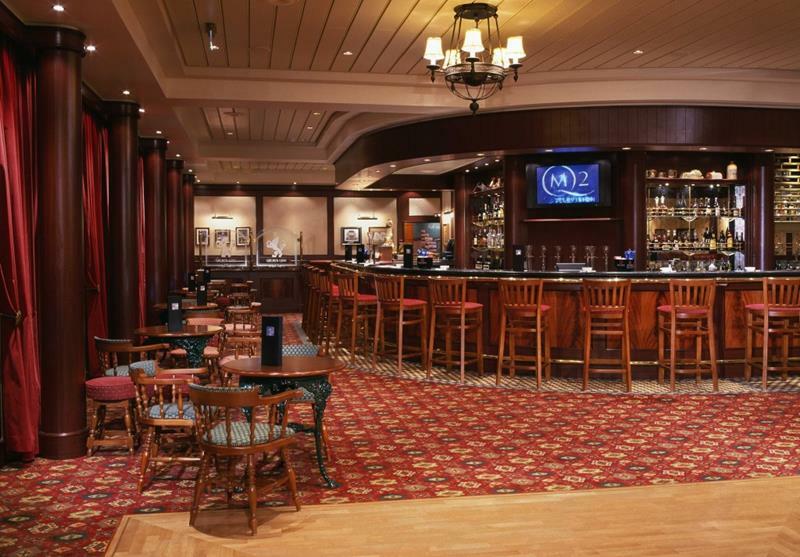 There are plenty of places to grab a cocktail aboard the Queen Mary 2, including the Commodore Club, which offers sweeping ocean views. Those who prefer to stick to the vino will find the various vintages served at Sir Samuel’s wine bar meet their specifications. If you want the classic pub experience, you can grab a pint at the Golden Lion Pub. They’ve got plenty of entertainment there too, including darts! 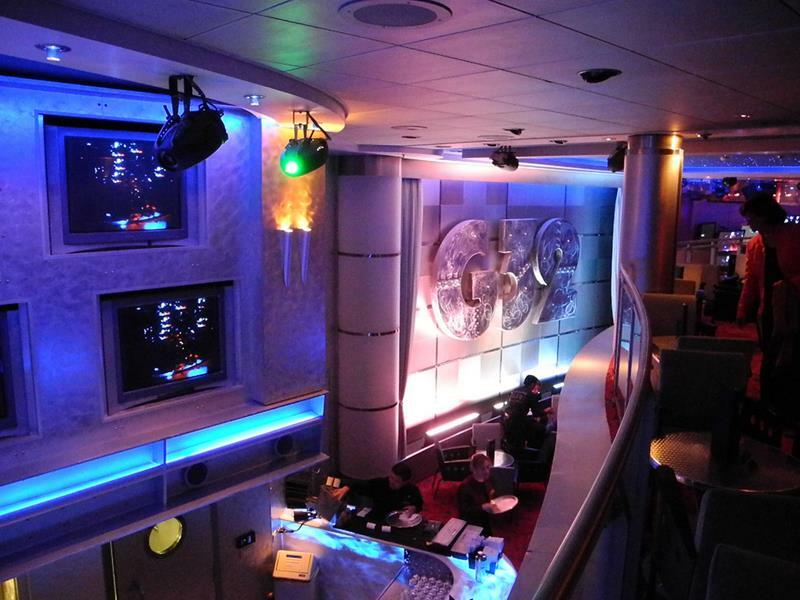 When you’ve got a free night and you want to revel, you’ll want to check out the Queen Mary 2’s nightclub called G-32. 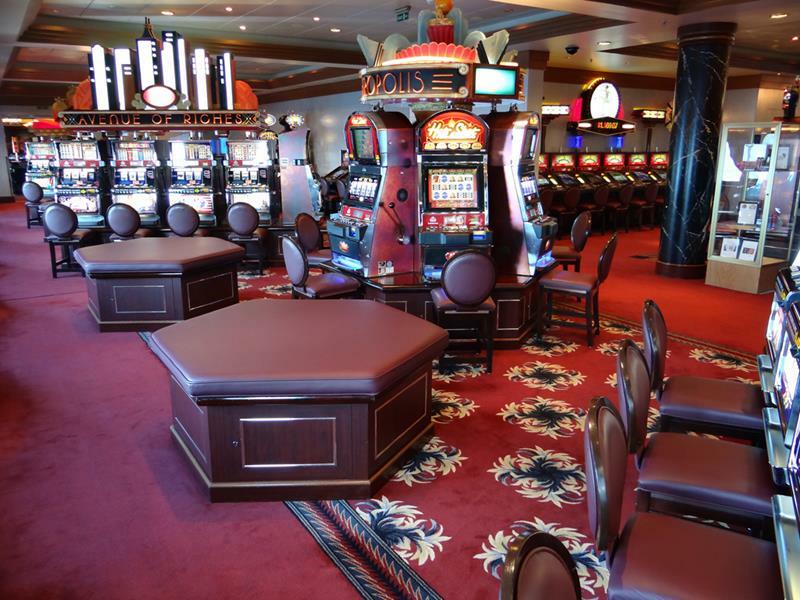 Those who enjoy mixing it up at the tables and slots will find all the gambling they can shake a stick at in the ship’s onboard casino! Now, you can’t pursue all that entertainment on an empty stomach? 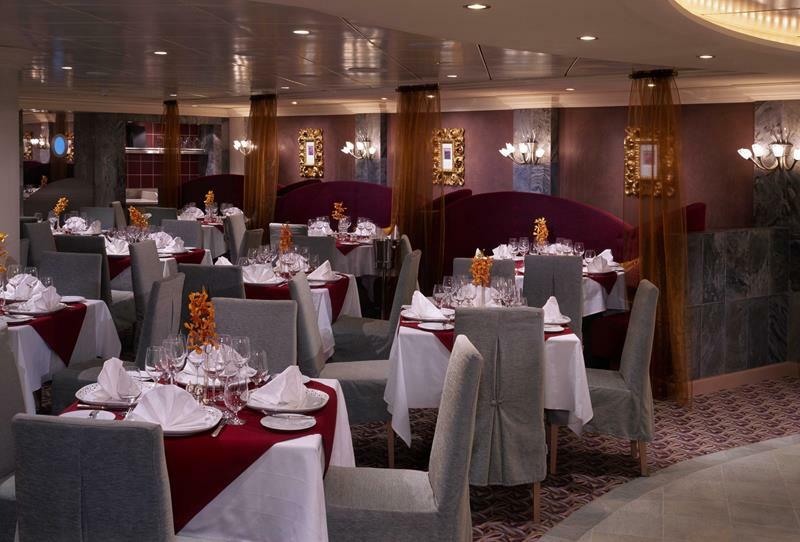 So, why not try one of the ship’s two grill restaurants, either the Queen’s Grill or the Princess Grill. If you’ve got a yen for a delicious plate of pasta or an authentic Neapolitan pizza, then a visit to Todd English’s restaurant is in order! 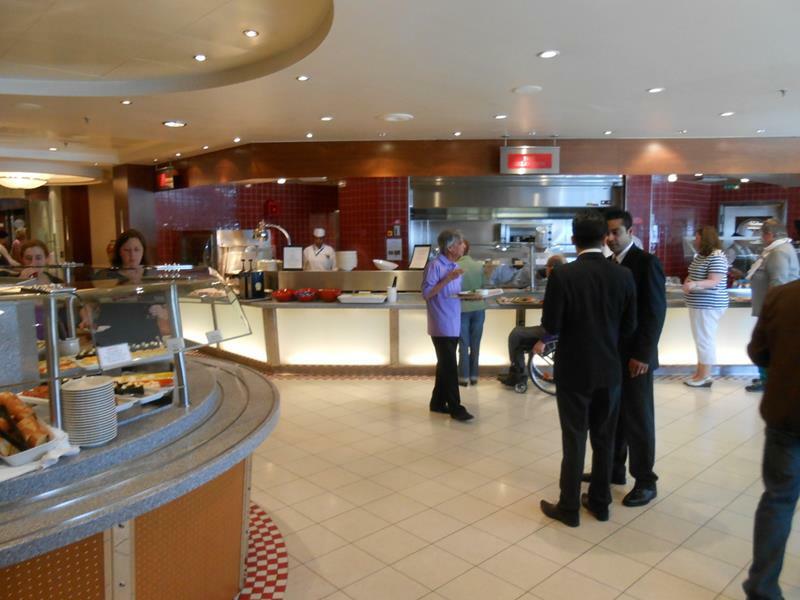 It wouldn’t be a cruise without a trip to the buffet! 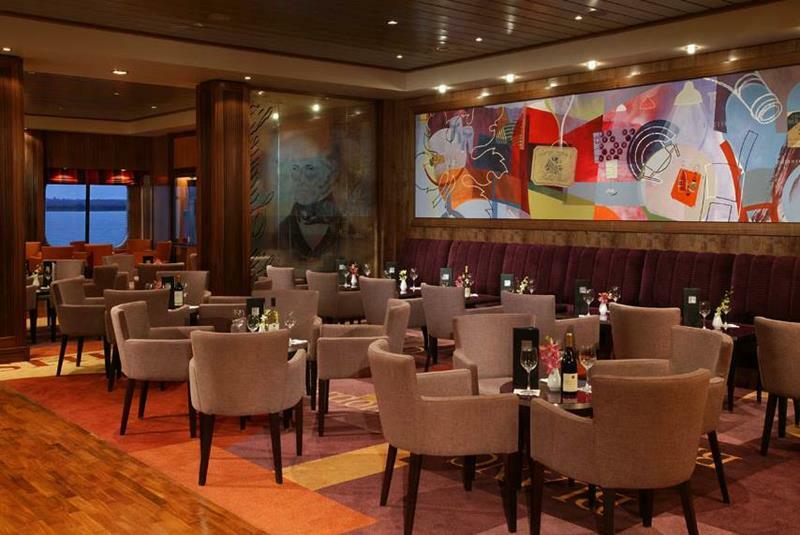 The one onboard the Queen Mary 2 is called the King’s Court, and it’s awesome. 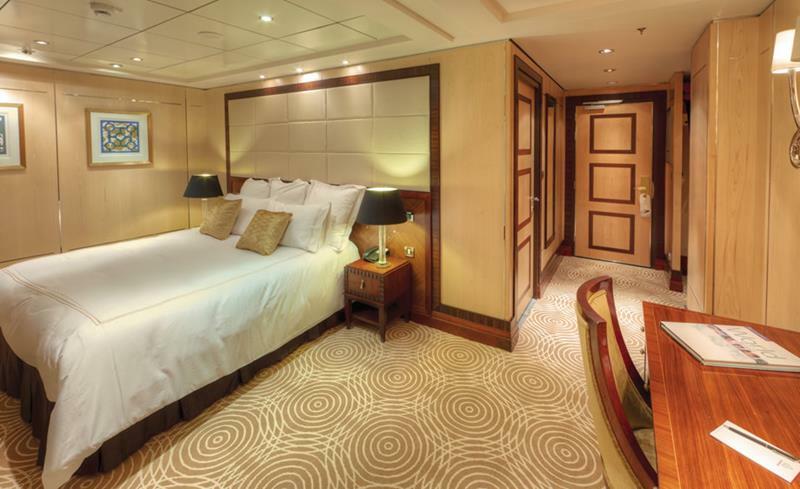 When you want generous accommodations aboard the Queen Mary 2, then you’ll be looking to book your passage in the Queens Grill Suites. But, those suites aren’t the only game in town! The massive, two-story, 2000-square-feet Balmoral Suites are totally tricked out and worth the price tag. 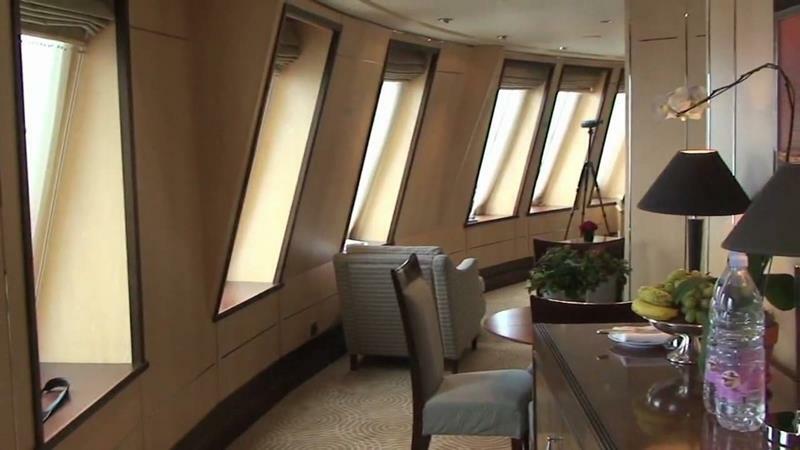 One suite to look into is the Queen Victoria suite, which is situated near the ship’s bow, offering incredible views! 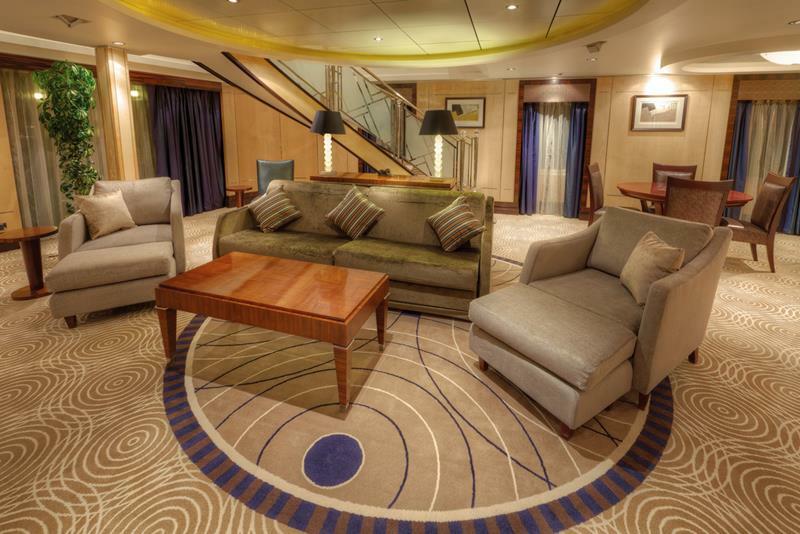 There are plenty of different staterooms to look into, but we recommend going for one with a balcony. You’ll appreciate all that fresh air! 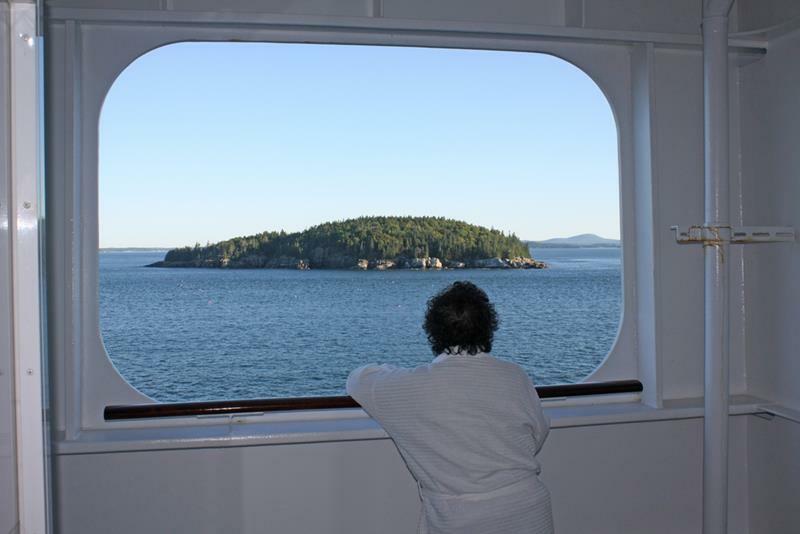 Here’s a view from one of the stateroom balconies. 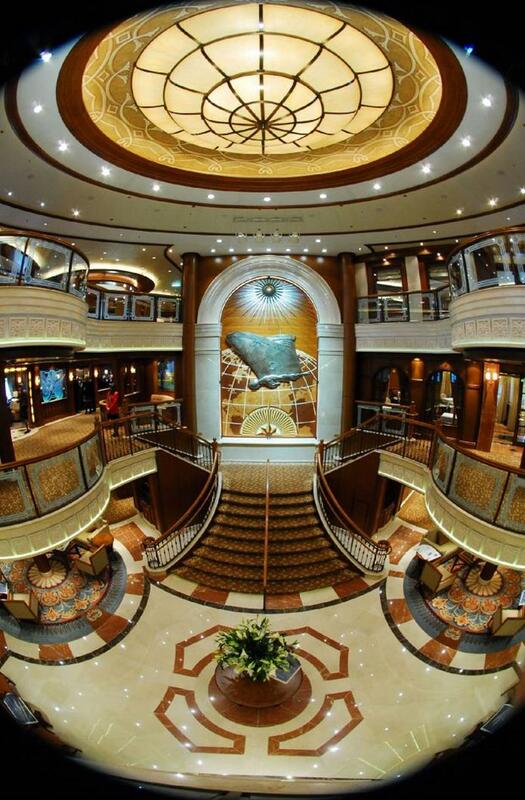 It’s just proof that it doesn’t matter where you stay aboard this luxurious ship! 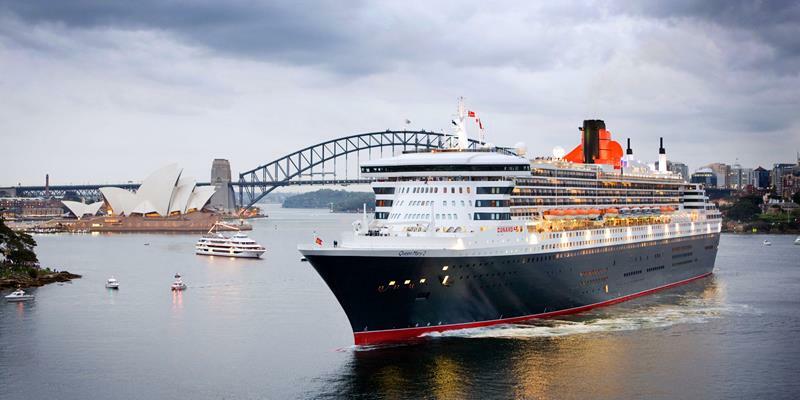 The Queen Mary 2 sails to various places around the world all year long. Maybe you should look into its itinerary and book your passage soon! You won’t regret it.